Balancing work and home gives us little time for ourselves and it’s not easy to manage everything in a little time called weekends! At times we just delay things, could be because of time crunch or sheer laziness…. especially when it comes to salon work! Be it as simple as waxing, threading or facial, the trip to the salon is one of the laziest decisions! Who doesn’t want it within the confines and convenience of their own home? Won’t it save us a lot of time and energy? Recently I discovered an interesting app called Urbanclap that offers salon services like manicure, pedicure, waxing, threading, bleach, make-up within the confines of your home. You can simply book services on the app and a skilled & qualified beautician comes to your doorstep prepared with all the necessary materials. The services are not just confined to salon but they offer a host of services like Yoga Trainer, AC service, Pest Control, Plumber, Electrician, like emergency electrician in Perth, Photographer, Tutor and a lot more. So I went on to the app and chose 3 services i.e. waxing, pedicure & face bleach. This was done just before Amazon India Fashion Week so that I look just perfect at the glam event! Waiting at the salon was the last thing I would have done when I was already in the midst of a hundred things- choosing my outfit, accessories, checking on my accreditation, etc. The hassle free website was easy to use and within minutes I booked my slot! The Urbanclap representative Sarita arrived on time wearing a uniform with a neat black apron which boasted of Urbanclap branding. 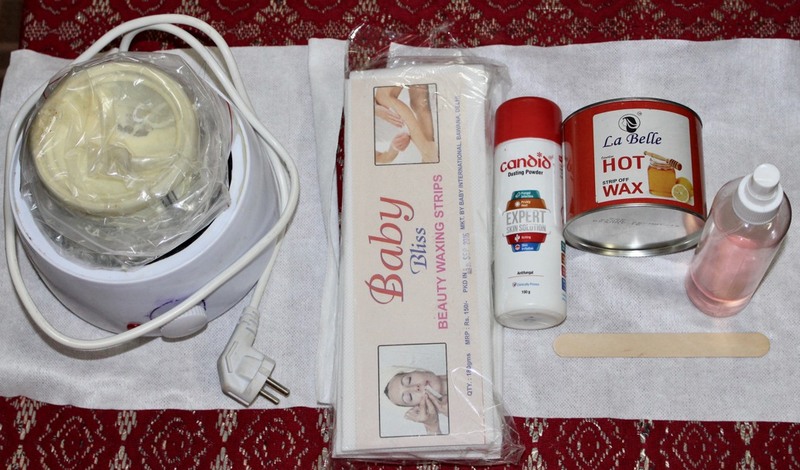 She carried with her all necessary equipments – wax heater, pedicure tub, tissues, bleach cream etc. She started with waxing and was neat, organized, efficient and effective in her work. The used strips were disposed off in a garbage bag which Sarita carried with her. The waxing was done with a wooden spatula which is more hygienic I suppose. After the wax, she cleaned my legs with tissues (wet disposable ones) & applied astringent on my legs. Eureka, my waxing done without having to step out of my house! The next step was bleach! 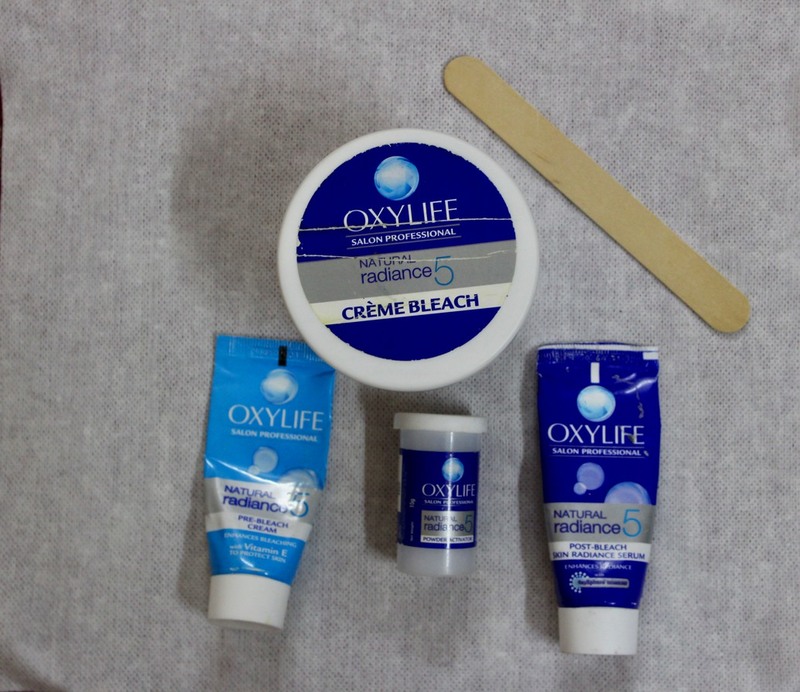 She used Oxy Life bleach with a pre-bleach & after bleach and did it nicely without any mess with immense care. She made me lie on the disposable bedsheet and asked me to wear a comfortable disposable gown with a disposable headband so that my hair does not get dirty. You feel so happy when every little care is taken! Next was time to pamper my feet with O3 pedicure. 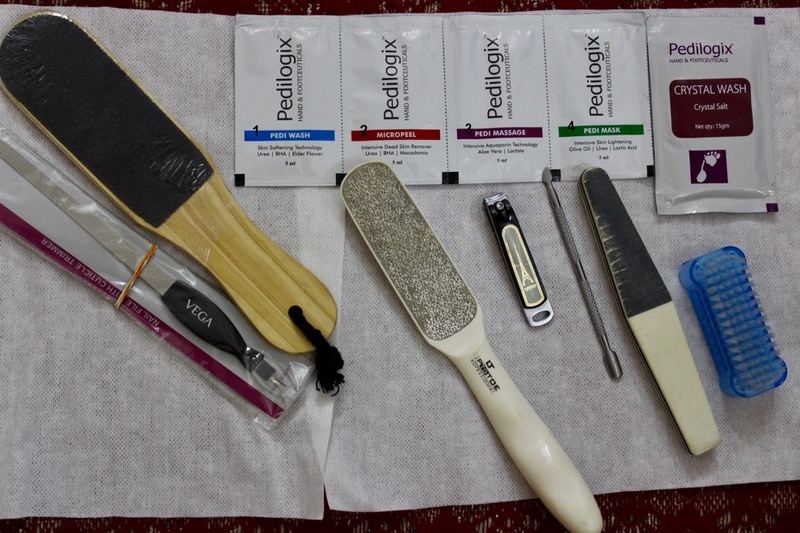 O3 Pedilogix (hand & foot ceuticals) kit was used which I had never heard about. The kit had everything – crystal wash, micropeel, instant massage softening cream and lightening mask which smelt great as well. Sarita wore gloves and carried a small pedicure tub to heat water. She was careful while doing cuticle cutting, filing, rubbing and removing dead skin from the feet. 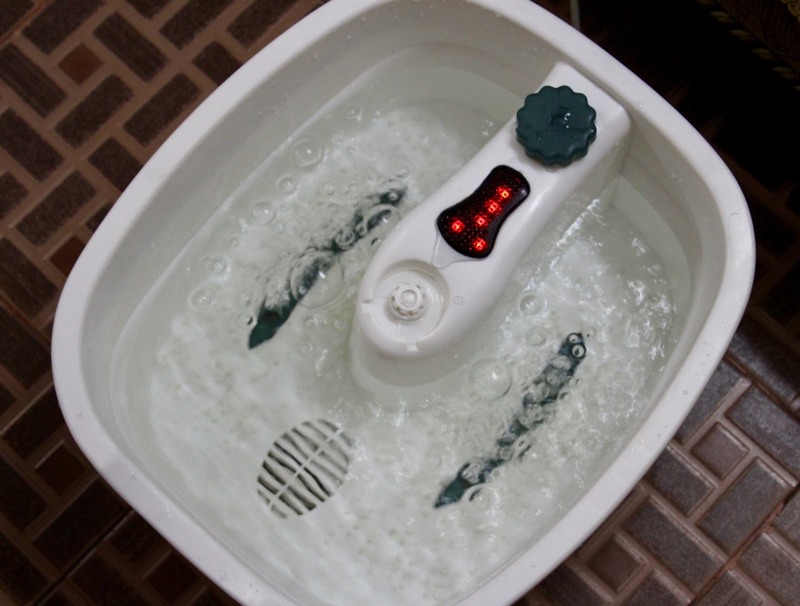 I felt that the result of O3 pedicure was 100 times better than the normal pedicure as the kit had products which contained aloevera, olive oil, urea, lactic acid and all good things one can think to nourish the feet with. The 5 ml packs did wonders and made my feet glow & shine and after the nail polish application, my feet felt amazing and yes, I was ready to wear my favourite stilettoes. To conclude, I loved the entire experience of getting all the messy work done at home without any time delay or waiting. And yes, the executive was professional, skilled, experienced, knowledgeable and well trained to handle all the work. Brownie points to the Urbanclap representative for carrying a bottle of hand sanitizer which she frequently used during her work! This quite impressed me. She also wore a mask while performing the chores. Additionally, all her equipment was well packed, sterilized & clean. Thanks to Urbanclap which helped me save a lot of my precious time and I got all my work done at my house neatly, effectively & hygienically. I was very happy to use Urbanclap and would recommend others to try it as well. Infact, they even offer some super cool deals & monthly packages to suit every budget & pocket. One can even avail services like plumber, carpenter, electrician, tutors, all that one can think of which could smell worries of the house. It makes life easy and saves your time giving you ample of time to spend with your loved ones. Amazing Makeup kit. My wife bookmark this blog. Great job for publishing such a beneficial article. Your blog information isn’t only useful but it is additionally creative with high content too. Wow Great List, Thank you for sharing such a impressive list.